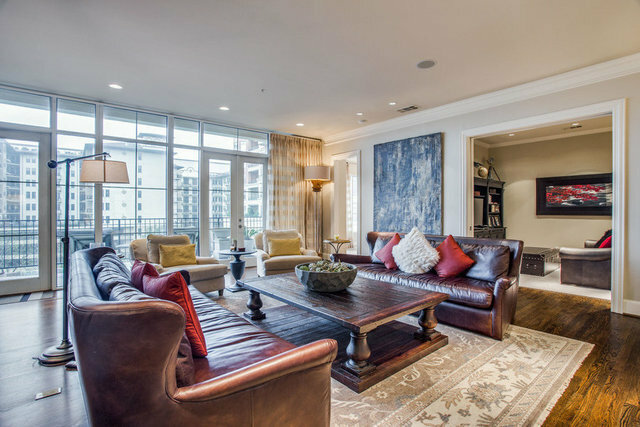 Opulent Living at The Plaza at Turtle Creek! This rare 3 bedroom condo has been tastefully updated and also features 3 en suite bathrooms as well as a powder bath. The Living area looks out to a wall of windows and private balcony. The chefs kitchen is spacious and features stainless appliances and granite. The luxurious Master suite enjoys plenty of natural light and boasts a crystal chandelier. Master bath features large closets, separate shower and jetted soaking tub. You will enjoy many amenities in this full service building, including 24 hour concierge, beautiful pool and gardens, conservatory and valet.Come home to luxurious living in this tastefully updated condo in the heart of Mansion Park.